German author and ethnographer Hubert Fichte is known for how deeply he immersed himself literarily in the worlds he wrote about. An interview with Diedrich Diederichsen about an exhibition series that has been created in the author’s honour. Hubert Fichte was quite an all-rounder. An ethnologist and poet, he was one of the first pop writers, and a pioneer in new disciplines such as queer and postcolonial studies. But he stood out in particular for being different. Homosexuality, including his own, was a central component of his work – a novelty in the 1960s and 1970s. And while other writers held readings in bookstores, in 1966 Fichte read his novel Die Palette (i.e. the Palette) at Hamburg’s famous Star Club in St. Pauli, the same club where the Beatles were busy making a name for themselves at the time. In the early 1970s, Fichte visited several countries in South America, the Caribbean and Africa to engage in ethnological studies. When describing foreign cultures, he delved deeper than any other author at the time. Fichte wanted to do more than just observe; he wanted to understand. His experience from his travels also flowed into his most extensive literary work, the planned 19-volume novel cycle Die Geschichte der Empfindlichkeit (The History of Sensitivity). In 1986, when Fichte died at the age of 51, he had completed an impressive 17 volumes that were published posthumously. A series of exhibitions jointly organised by the Goethe Institut, the Haus der Kulturen der Welt (i.e. The House of Cultures of the World, HKW), German publishing house S. Fischer Verlag and the foundation of the same name is dedicated to this cycle. The exhibits look into how well the European traveller understood of the places he wrote about. The project is headed up by cultural scientist and author Diedrich Diederichsen and curator Anselm Franke. “Liebe und Ethnologie” (i.e. Love and Ethnology) is the title of the exhibition about writer and ethnologist Hubert Fichte, who died in 1986. How do you create an exhibition about a poet? It is not an exhibition. As things stand at the moment, it’s at least seven: one in Portugal, two in Brazil, one in Chile, one in New York, one in Dakar and, ultimately in autumn 2019, a kind of grand finale in Berlin. Each of these exhibitions takes up different elements from Fichte’s unfinished novel cycle, Die Geschichte der Empfindlichkeit (i.e. The History of Sensitivity), of which he planned to write 19 volumes. A different curator from the respective country designed each of the exhibitions, which feature a translation of a text into the language of the area of the world Fichte wrote about. And while each approach is different, all explore the central question of how much the European traveller understood about the places he described in his writing. 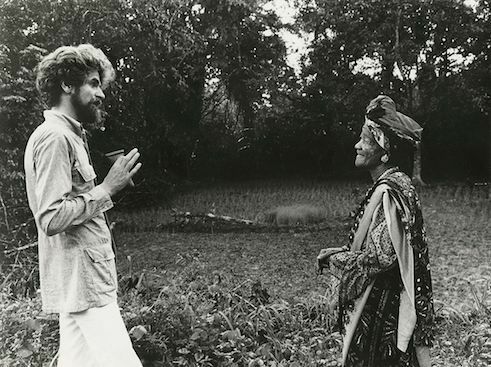 Hubert Fichte with Mother Darling, a Yoruba priestess in 1974. | Photo: © bpk/ S. Fischer Stiftung/ Leonore Mau And what would you say: Did Fichte understand these places, if that’s not too general a question? Some elements turned out to be prophetic: People were impressed by how intensely Fichte plunged into other worlds, his closeness to the subjects – though his viewpoint and understanding was obviously limited. He was, after all, a white European man. What do the exhibitions focus on? The exhibitions feature contemporary art that relates to Fichte, sometimes from a great distance, but often closely linked to the text itself. Ayrson Heraclito’s contemporary videos of the streets and gay meeting places in Salvador da Bahia, which Fichte described in 1972, are one example. The exhibits held thus far in Lisbon (Portugal) and Salvador (Brazil) were intended for an audience interested primarily in art, but also in historical and literary contextualisation. What was Hubert Fichte’s significance back then and what is it today? Fichte moved beyond the dichotomy of factual and poetic writing. His heightened objectivity becomes poetic, his poetry is suddenly journalistic. As a half-Jewish, gay or bisexual author, he did not feel particularly comfortable in post-war Germany and fought bigotry and provincialism. He developed approaches discussed in queer and postcolonial studies today some thirty to forty years earlier. In addition to the history of sexualities and the African diaspora, he was also interested in the political economics of poverty and exploitation. In Brazil, for example, he researched the collaboration of German corporations in the military dictatorship. 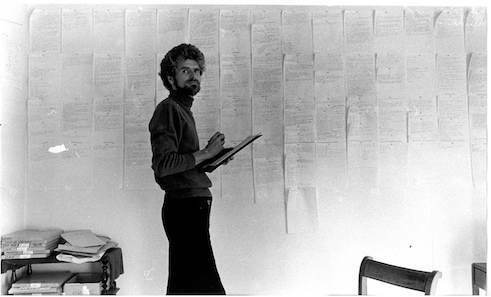 Hubert Fichte in his studio in Hamburg-Othmarschen in 1965. | Photo: © bpk/ S. Fischer Stiftung/ Leonore Mau Queer studies currently play a major role in Germany. Since marriage equality was introduced in October 2017, gay and lesbian couples have been allowed to marry. The Federal Constitutional Court recently ruled that the birth register must include a third option in addition to male and female for intersexuals, i.e. for people whose gender characteristics do not clearly classify them as male or female. Would Fichte have been in favour of these developments? 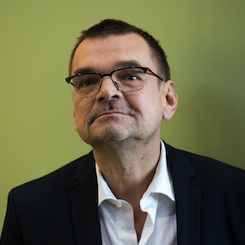 Cultural scientist and author Diedrich Diederichsen. | Photo (detail): © picture-alliance / dpa That’s hard to say: In general, LGBTIQ people’s rights were extremely important to him (LGBTIQ stands for lesbian, gay, bisexual, transgender, intersexual and queer). He always judged social conditions based on the overriding attitude towards these issues. He clashed with many of his left-wing friends with whom he otherwise shared a lot of political leanings, because they denied or played down homophobia in Cuba. But I do not know whether it would have been particularly important to him to legalize marriage. I imagine he would have been pleased to have the gender binary legally overturned. Eleonore von Bothmer is a freelance journalist and translator. Copyright: Text: Goethe-Institut, Eleonore von Bothmer. This work is licensed under a Creative Commons Attribution – Share Alike 3.0 Germany license. Exposição “Amor e Etnologia” na Casa das Culturas do Mundo (HKW), Berlim.